Charlotte AI - Is she Going to be Your New Employee? Businesses large or small live or die based on their ability to market to and acquire new customers. As the business world becomes more competitive, companies are looking for new ways to run, optimize, and automate their social campaigns. This is where Charlotte AI enters the picture. The start-up provides AI marketing automation where businesses can monitor, optimize and analyze their social campaigns, do Facebook optimization and achieve a significant return on investment. Meet Charlotte. She’s your new employee. Scratch that—she’s your best new employee. Charlotte is your one employee who will work tirelessly 24/7. She doesn’t need weekends and will never ask for holidays. She’ll continuously work at the office happily and without complaints even while everyone else is already fast asleep. As a social media marketing expert, she executes your campaigns and provides insights more competently than any other. The thing is, Charlotte is not like us. She’d never need a break because unlike us—she’s a bot. 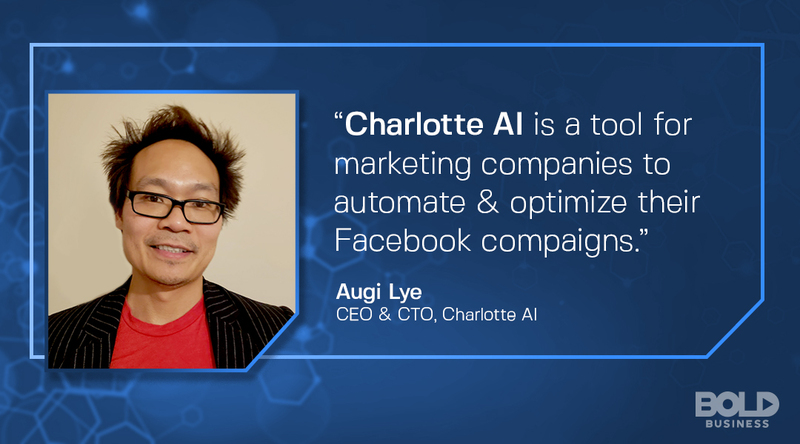 Charlotte AI brings you Charlotte, an automated, artificial intelligence-powered social media manager. 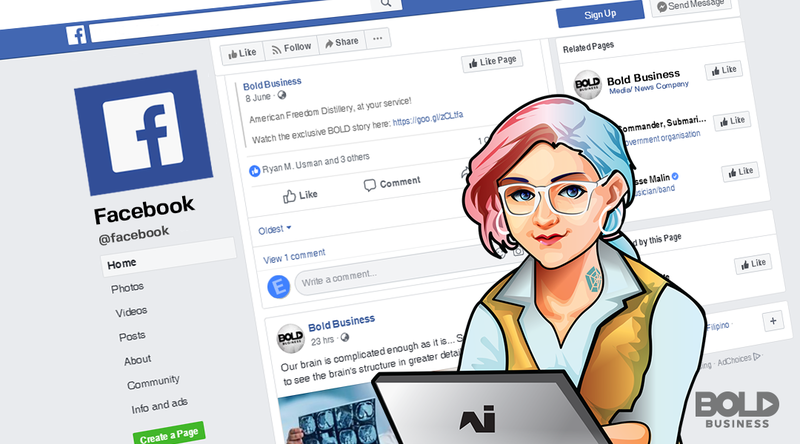 She’ll study all of your posts on Facebook, and analyze the variables of each one—your audience’s age, gender, occupation, and other categories. Charlotte understands that there are a host of combinations and variables that yield different results. It tags the highest performing variables, turns off the low ones, and leaves only the best for everyday cloning. That means your best Facebook posts can be replicated for better audience engagement. Charlotte is all about deep learning. Each combination of variables is unique in its use of creatives, text, and bid prices. She automates the process at a high velocity with the lowest possible cost to maximize both your budget and audience reach. Also, like all AI systems, Charlotte becomes better over time. The more data she processes from human input, the better the optimization. Did you know that Facebook has more than two billion monthly active users as of the Q2 2018? And that to a lot of people all over the world, Facebook is the Internet? Therefore it has the biggest audience base in any social media platform in history. That’s something your business needs to tap ASAP. Customer acquisition optimization is an expensive and frustrating process. You’ve probably struggled with this at some point. Social media marketing actually requires specific analytic skills and endless patience. And sometimes it takes more than just yourself to keep the gears grinding. With Charlotte, ad campaigns are on autopilot. You simply set rules, like spending or cost per impressions (CPM), and Charlotte manages it all for you. AI marketing lets you achieve conversion and ROI faster than SEO and content marketing. Imagine your business yielding your desired results within just days. The company maximizes the budget and audience reach for all your campaigns. If you automated a campaign, and later changed the parameters such as decreasing ad spending, Facebook only recognizes such changes every 30 minutes. 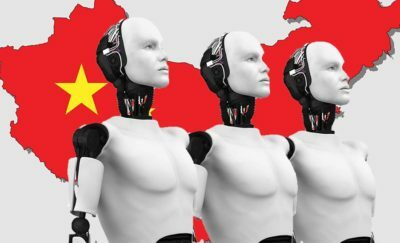 Charlotte AI, on the other hands, checks campaigns every five seconds, so you get to implement changes immediately, and cut overspending risks instantly. The solution also tracks your best-performing posts and boosts them automatically. She cuts underperforming campaigns and consequently lowers your cost per action (CPA) by as much as 80%. And Charlotte provides reports in a snap. She gives reports based on the schedules you set so you get real-time insights. This informs all your future social media marketing techniques and strategies. Facebook optimization can be accomplished easily if you invest in AI marketing that efficiently does the job for you. Charlotte AI takes away the burdensome, menial responsibilities from you so you can focus on other more important tasks. Charlotte takes numerous duties away from your hands. She automatically cycles targets, ad placements, interests, and demographics. When Facebook mistakes a high-performing ad to be a low-performing one, Charlotte revives it for replication. She also experiments with age ranges so your company has an expanded audience reach. When your ads feature external links, Facebook sometimes slows down redirecting customers to your landing page, but Charlotte speeds this up to take advantage of customers’ attention span. Charlotte’s powerful AI reverse engineers Facebook’s algorithm and overrides any of its obstacles and glitches. All the analyses that any marketer would do would entail so much time and effort that by the time they are done, Facebook has already changed parameters. If ever Facebook crashes, Charlotte keeps working, optimizing. 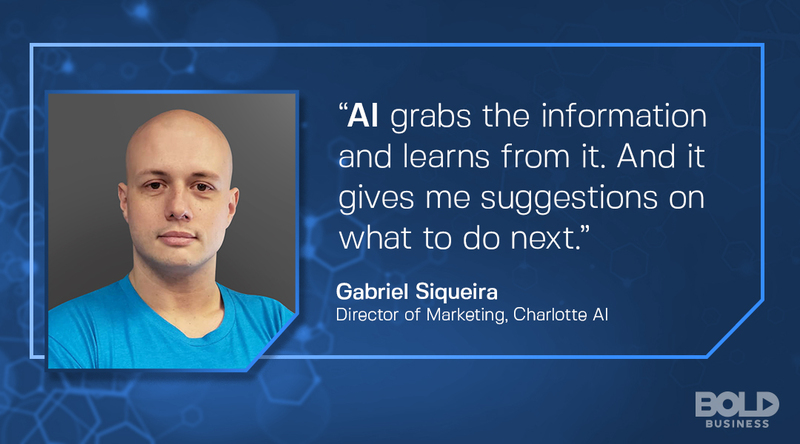 Charlotte AI harnesses the power of artificial intelligence and applies it to a very practical task for all businesses. Marketers no longer need to micromanage their social media content, saving them time, effort, and even workforce. Charlotte takes the place of about six to eight office staff and works faster than all of them combined. 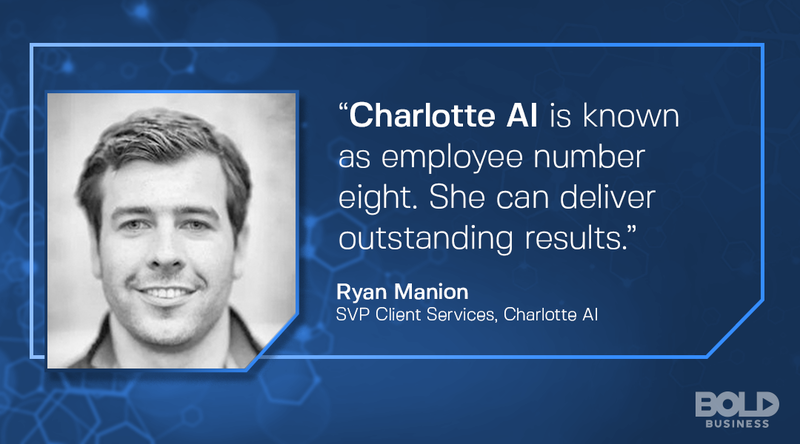 If you’re a small business and you want to automate marketing and include innovations in your operations, Charlotte provides just the solution. With Charlotte AI, you get to have a custom dashboard to monitor the KPIs that are critical to your strategy and everyday operations. You get to reach your social media marketing targets and at a faster rate and with less effort. You get to scale your ads and reach your desired audience to effectively drive traffic to your website and acquire your products and services. Charlotte also takes care of your online reputation through comment control. She combs through the comments, tags posts with the most of negative sentiments, hides them and features select comments instead. This creates a more positive perception of your company, which eventually creates trust with your customer base. Another very important thing you should consider is that you no longer need to doubt your job as a marketer because now you have Charlotte. She’s what your business needs so you can focus on managing your business instead of being bogged down by everyday marketing operations and reports. 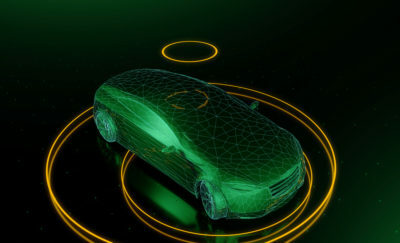 Would you rather be entangled in endless monitoring, or would you rather have powerful AI helping you run your business? Get Charlotte to be your companies next employee. She’d be your best employee yet.